This iconic New York MTA Subway Token was in use between 1970 and 1980. Third photo shows comparative size compared to a new U.K. penny and a US dime. The actual token for sale is in the pictures. 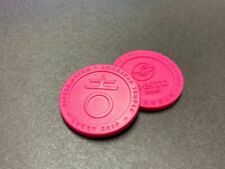 The token has been circulated. Dispatched with Royal Mail 2nd Class Letter. The cover art ishand this piece to one Jacob Aston West (b. approx. 1941-3, Montserrat) by Jade Montserrat, 2018. The seventh official map of London's Night Tube. This shows the Central, Jubilee, Northern, Piccadilly and Victoria lines, and the London Overground. 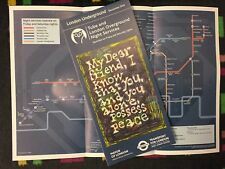 • London Underground pocket tube map - December 2018. • The cover art is The Bower of Bliss by Linder, 2018. This edition shows the TfL Rail link from Paddington to Heathrow Airport as part of the gradual opening of Crossrail. This December 2018 edition introduces links between stations that are walkable. The cover art isThe Bower of Bliss by Linder, 2018. There were over 700 built. The last of them were retired and scrapped in the 1960s. When the BMT first opened in 1913, their only service to Manhattan was over the Williamsburgh and Manhattan Bridges. LONDON UNDERGROUND. USB adaptor included for charging and power. A perfect gift for any London lover. LIGHT BOX / WALL SIGN / LAMP. Each lightbox includes 10 Inserts interchangeable to suit your choice (See Pics). 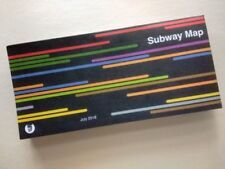 New York Subway System Map - Massimo Vignelli. Year: 1972. “Vibrant and bright! Pic does not do it justice.looks amazing!”. Beautiful map! Each of our prints are custom reproductions printed on 68lb Heavyweight Enhanced Matte Art Paper. London Transport Underground Station Staff Vintage Hat Cap. Condition is Used. Dispatched with Royal Mail Special Delivery (TM) 1:00 pm. Check my other railway items! Jungle Underground Sign These were placed all over the Underground by an artist and we found this one at Bethnal Green. 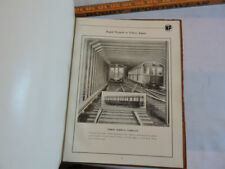 Great for London Underground collectors Condition is Used. Dispatched with Royal Mail 1st Class. Greetings! Up for sale is an actual piece of a NYC Subway roll sign! This piece reads "7 Flushing Local". The piece measures about 26" x 5" and is ink printed on Mylar, a durable plastic like material that can be rolled up for safe shipping. This would be perfect to frame to decorate any room! I will carefully pack and ship your item one business day after cleared payment. I ship to the US via USPS First Class Package and international via eBay's Global Shipping Program. I can combine shipping, just add all the items you'd like to your cart and request a total INTERNATIONAL BUYERS: please message me first if you would like to buy multiple items. Thanks for looking! The sign is in near-mint condition, with few if any possible traces of steel dust, oil stains, and other common imperfections of era signs. Let the photos be your best indication of its quality. This routing is for the 1 line to the Bronx. This is an original folding No. 1 London Underground Map. Outline: A map of the underground with places of interest indexed. Date: 1937. Publisher: London Transport. This will be free. Which gives the plaque a smooth glossy finish and makes the plaque hard wearing. 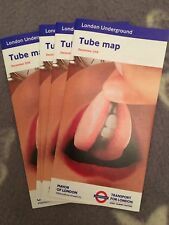 (NOT A GENUINE LONDON UNDERGROUND ITEM). Material - Sublimation Aluminium. Approx Size - 24.5cms x 19.5cms (10" x 8"). Total length of roll sign is about 19 feet. 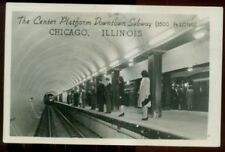 Nice example of Chicago "L" history to own. Condition as shown in photos. This is a London Transport Underground Norther Line Carriage sticker. They are fixed inside the carriages above the windows the whole length of the car. It is new and unused sticker. (These are 100% real no reprints. ). Adidas x TFL Oyster Card 1 of 500 made-RED. The credit on the card has been used, you will receive the oyster card only. UNITED KINGDOM - £1.80 GBP. Adidas x TFL Oyster Card 1 of 500 made-PURPLE. The credit on the card has been used, you will receive the oyster card only. UNITED KINGDOM - £1.80 GBP. Up for sale is an actual piece of a NYC Subway roll sign! Many rare archival photographs have been colourised and you will also see rare, previously unpublished archived images. The sign is in near-mint condition, with few if any possible traces of steel dust, oil stains, and other common imperfections of era signs. Let the photos be your best indication of its quality. This routing is for the famous 7 line to Flushing, for the Local routing. Oyster card no.3 - yellow oyster cards reader on top left corner;. ALL OYSTER CARDS FROM THIS LOT IS FOR SOUVENIR OR COLLECTIBLE ITEM ONLY! Greetings! Up for sale is an actual piece of a NYC Subway roll sign! This piece reads "6 Lexington Av Lcl Pelham Local". The piece measures about 26" x 8" and is ink printed on Mylar, a durable plastic like material that can be rolled up for safe shipping. This would be perfect to frame to decorate any room! I will carefully pack and ship your item one business day after cleared payment. I ship to the US via USPS First Class Package and international via eBay's Global Shipping Program. I can combine shipping, just add all the items you'd like to your cart and request a total INTERNATIONAL BUYERS: please message me first if you would like to buy multiple items. Thanks for looking! Greetings! Up for sale is an actual piece of a NYC Subway roll sign! This piece reads "6 Lexington Av Lcl Pelham Express". The piece measures about 26" x 8" and is ink printed on Mylar, a durable plastic like material that can be rolled up for safe shipping. This would be perfect to frame to decorate any room! I will carefully pack and ship your item one business day after cleared payment. I ship to the US via USPS First Class Package and international via eBay's Global Shipping Program. I can combine shipping, just add all the items you'd like to your cart and request a total INTERNATIONAL BUYERS: please message me first if you would like to buy multiple items. Thanks for looking! Greetings! 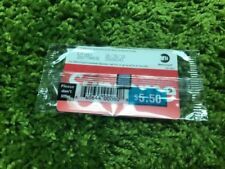 Up for sale is an actual piece of a NYC Subway roll sign! This piece reads "5 Lexington Av Express". The piece measures about 26" x 8" and is ink printed on Mylar, a durable plastic like material that can be rolled up for safe shipping. This would be perfect to frame to decorate any room! I will carefully pack and ship your item one business day after cleared payment. I ship to the US via USPS First Class Package and international via eBay's Global Shipping Program. I can combine shipping, just add all the items you'd like to your cart and request a total INTERNATIONAL BUYERS: please message me first if you would like to buy multiple items. Thanks for looking! Greetings! Up for sale is an actual piece of a NYC Subway roll sign! This piece reads "6 Pelham Local". The piece measures about 26" x 8" and is ink printed on Mylar, a durable plastic like material that can be rolled up for safe shipping. This would be perfect to frame to decorate any room! I will carefully pack and ship your item one business day after cleared payment. I ship to the US via USPS First Class Package and international via eBay's Global Shipping Program. I can combine shipping, just add all the items you'd like to your cart and request a total INTERNATIONAL BUYERS: please message me first if you would like to buy multiple items. Thanks for looking! Greetings! Up for sale is an actual piece of a NYC Subway roll sign! This piece reads "7 Flushing Local". The piece measures about 26" x 8" and is ink printed on Mylar, a durable plastic like material that can be rolled up for safe shipping. This would be perfect to frame to decorate any room! I will carefully pack and ship your item one business day after cleared payment. I ship to the US via USPS First Class Package and international via eBay's Global Shipping Program. I can combine shipping, just add all the items you'd like to your cart and request a total INTERNATIONAL BUYERS: please message me first if you would like to buy multiple items. Thanks for looking! 150 Years of the Underground - oyster card, pin badge and wristband collection in good condition.